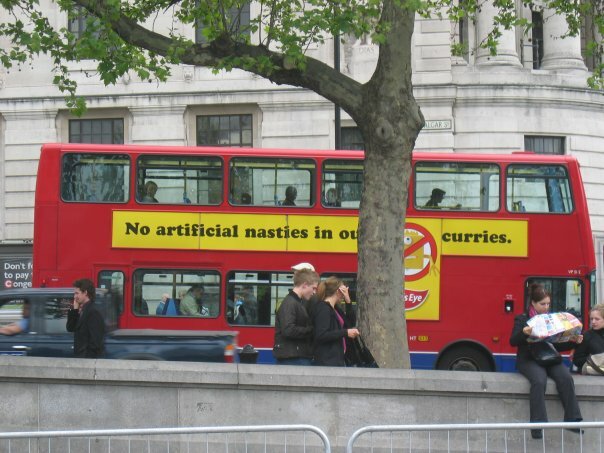 A bus advert that had amused me all those years ago. "... You want stiff-lipped men in bowler hats and cheeky cockneys with their thumbs in their waistcoats and fish on their heads. I’m sorry, but they’re not here anymore. No city’s exported image lags so far behind its homegrown veracity than London’s, so let’s start with what you’re not going to find. We’re all out of cheeky cockneys, pearly kings and their queens, and costermongers. You’re not going to find ’60s psychedelia and the Beatles in Carnaby Street. There aren’t any punks under 50 on the King’s Road; there are no more tweedy, mustachioed, closeted gay writers in Bloomsbury, no Harry Potter at King’s Cross. There aren’t men in white tie, smoking cigars outside Pall Mall clubs and there isn’t any fog, but you can find Sherlock Holmes’s house on Baker Street." // A.A. Gill, in his NYTimes' article "A Profile of London"
What ... no fog?! No fish on cockneys' heads?! Just kidding. The fog part (amongst other things) I can attest to firsthand. 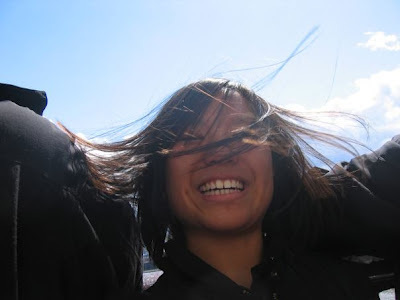 I was studying abroad in Paris in the spring of 2005. For our semester break, I ventured to London to visit my friend Jackie. Paris had been dulled by constant rain and clouds, but just as my plane crossed the Channel, the skies broke open and I was greeted by all sun and cheer in the UK. Talk about breaking stereotypes. At least we'll be able to find Sherlock. Phew. From the top of St. Paul's - a long but worthy hike for the view.